The state of the art Futures House, located in Marsh Farm, North Luton, is a bespoke low operating cost building, with a gross internal area of 65,000 square feet. 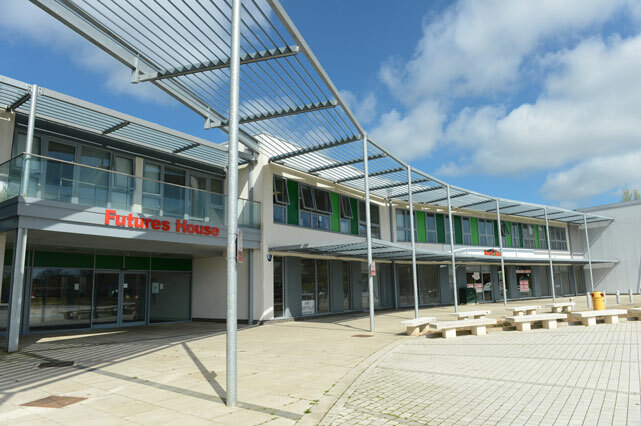 As a vibrant, sustainable, and innovatively designed community “hub”, Futures House provides enhanced local public services, including Bedfordshire Police, Luton Borough Council and community care services, as well as providing quality space and support for business enterprise, a commercial play park and other health and leisure activities. We also have a number of organisations and groups who offer their services from here, including Over 50s Club, Food Bank and a pre-school nursery. In addition to the above, space is provided within Futures House to support the growth of small and medium sized enterprises, including a hairdressers, community based businesses and three large retail units.